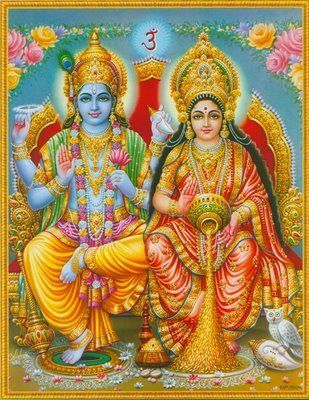 In the previous post, I mentioned that Brahma, the Divine Absolute, divided into male and female, and the division into the Two Great Forces creates, sustains, and populates the universe. On the grand scale, these two forces are God the Father of Heaven and the Mother Goddess of Earth, as well as the inhalation and exhalation of the breath. The Heavenly Breath comes to all living beings for life and the Goddess Breath returns to heaven. Mother Earth does not just represent the earth, but all earthly and heavenly bodies. All matter is the Mother, and everything else is the Father. It is easy to ascertain that the earth exists because we can see it, feel it, taste it, and such, and although heaven is invisible, we can sense it by a wind on the face or filling up the belly. Even though the space between two earthly bodies appears empty, it contains the Supreme Spirit, the life breath, light, and the love of heaven for all the living. Heaven is all around for comfort and happiness, and the way to reach that from here is to reach for the Heavenly Breath. The Sacred Teaching of Heaven is logical, and it makes sense to fill up with heaven to spend time with heaven, and now is the occasion, not after death. Here is a verse from the Veda for spending time with heaven on the earth. A favorable wind blows the pleasant medicines of Mother Earth and Father Heaven to you to be happy to sound the mantras. You have Two Divinities to be together, unbroken as one to enjoy, and to stop for meditation to remove the separation. This entry was posted in The Rigveda and tagged Brahma, Breath, Buddha, God, Mantras, Religion and Spirituality, Religious Text, Rigveda, Sacred Text, Veda by rgvedaschool. Bookmark the permalink.